Aamir Khan has a stellar CV which includes these hilarious TV commercials from his younger days! The most versatile actor of Bollywood, who is also the creator of 100 crore club in the industry, Mr Perfectionist Aamir Khan turned 52 today. This birthday is special for Aamir after the immense success of his outstanding film Dangal, which become the highest grossing Indian film of all times and broke multiple Box Office records. Other than creating 100 and 200 crore clubs, he also proved his mettle with his on-screen characters, be it the tough-guy movie Ghajini or the crazy PK, the actor has always won the hearts of his fans. Aamir also made a strong impact with his social awareness efforts either through his TV show Satyamev Jayate or with his TV commercials. 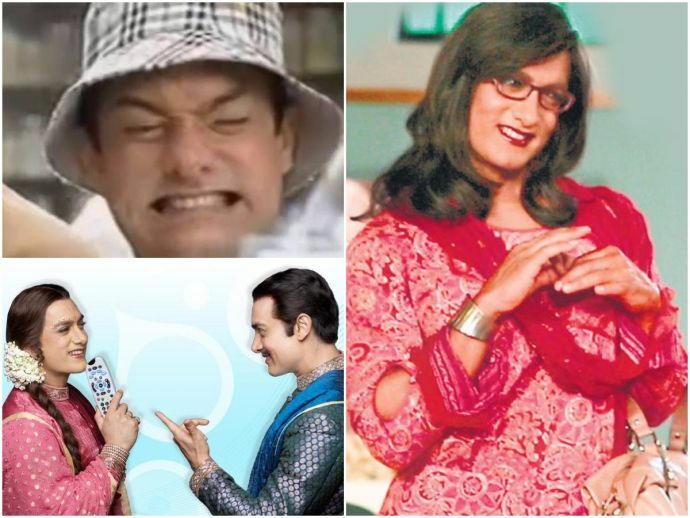 Well, Aamir and TV commercials have always gone hand in hand, and today on this amazing actor’s birthday we bring you his most hilarious TV commercials.